$52.99 & FREE Shipping on orders over $59. Pliny the Elder is truly an amazing beer with a cult like following and very limited quantities. However with this killer kit you can make your own Pliny and perhaps you will develop your own cult following where you are worshiped by your beer loving friends. This is THE original Pliny recipe, given to us directly by Vinnie at the Russian River Brewing Company. This beer is an intense double IPA: High bitterness with a dry malt finish, 8% alcohol, 6 separate hop brew additions, 3 separate dry hop additions, and intense hop flavor and aroma! Pliny sets the standard for Double IPA's! Please Note: the recipe sheet you recieve with the kit may list the 2oz of whole hops as a boil addition. However, the whole hops should instead be steeped with the specialty grains. If you have to ask, you havenâ€™t had it. Why would you even ask why, This is The best IPA ever! Fantastic kit that yields a fantastic brew! Highly rated reviews of other home brewers. Brewed it for the first time it was great need more!!!! Recommended by my brewing friend. It's a good beer and I've made it over 5 times in 6 years. Most popular beer in my kegerator. Gotta keep it on tap! Brewed this kit with a friend, want it in my kegerator. Have had the original many times! 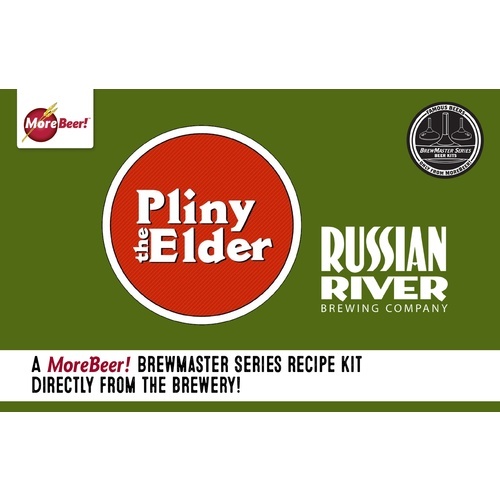 This kit was recommended...and I like Pliny. seems like an awesome deal, great price and straight from the brewery! Made it before, it was great! Tried before; Remembering a deceased friend who loved it. worth a try with the KOTW deal! High A.B.V. Great deal ! Kit of the Week + its awesome beer!! What kind of hops come with this kit? Cascade, Magnum, Simcoe, Columbus, Centennial. I heard somewhere that you should use more yeast than normal for this recipe to ensure complete fermentation of the high initial sugar content. Is this true? Does the kit ship with the correct amount of yeast or should I purchase more separately? BEST ANSWER: Hi Gabriel - We recommend using a yeast calculator to find out how much yeast to use (https://www.brewersfriend.com/yeast-pitch-rate-and-starter-calculator/). And the yeast is purchased separately (recommended yeasts can be found on the product's page). I was very surprised when I saw this for sale on MoreBeer.com. The ease of this brew made it very fun. It is fermenting now and I am very excited. Great value with loads of hops, no issues brewing and happy the result was so close to Pliny from Russian River. I call mine Pliny the Younger. The consensus is that although we didn't make Pliny the Elder exactly, we made a great beer. Amber, rich in flavor from the all the hops, and everyone enjoyed it, both from the bottle and from the keg. It came out much darker than the original, with the hop aroma similar similar to the original. Will brew this again. A favorite Double IPA of mine. I have brewed this many times and it is always wonderful. Some friends and I tried this side by side with the origninal Pliny and most preferred this one. US-05 yeast. This is the authentic recipe with the correct hops. A friend of mine took a tour at Russian River Brewery brought me back a bottle of which I thoroughly enjoyed! I bought this kit from more flavor, the directions in the beginning seemed a little odd, but I decided to follow them to the T, as a result this beer tastes identical or even better then the one I had gotten in a bottle from Russian River. very happy with the way this beer turned out. Was very impressed with this kit. My friend a I did a side by side blind taste test with the real Pliny. Both of us prefered the stronger flavor of the extract kit. I had read many posts about the color being too dark or more of a copper color with the kit. To counter this I took some advise from a few forums to add the majority of the extract at the end of the boil. Still came out darker but definitely not a copper color. I will be making this year round. I picked up this kit for a quick "stock the larder" between all grain batches. Smooth process and excellent results. Put it on draft 1 week ago and quite sure it won't last long in the kegerator. Makes a really, really good beer. I'm still waiting to compare to the legendary original. I have made this twice now and compared both batches to the real thing. Both batches came out a little on the malty but with that strong piny hops taste. I personaly along with most of my friends preferred the kit version over Russian Rivers bottled version. Brewing was a little different than the previous kits I have done. More as this progresses through it’s paces ang gets bottled. this beer, along with Hopslam, is absolutely my favorite brew. family and friends agree. will continue to brew on a regular basis. best to wait 3-4 weeks if you bottle, even if carbonation complete at 2 weeks. flavor is just better later. Bought this kit about 2 weeks ago and it's sitting in the primary dry hopping right now. Once fermentation slowed, I sampled the beer (while taking a hydrometer reading) and the beer is coming along quite awesome. Lot's of great hopiness in the beer and good body. Mine is going to end up being around 10% abv though (OG of 1.085 and FG should make it to 1.010 or close to it). One thing I noticed about this kits hops that differentiate it from other clones is the addition of the Cascade hops during steeping (or mashing for the all grain version). None of the other clones have cascade in the hop bill. I contacted RR about this and they directed me to their website which lists the hops as: Amarillo, Simcoe, CTZ, Centennial, and Cascade. But in the email they list the hops as: Warrior, Amarillo, Simcoe, CTZ, Centennial, and Cascade. Warrior hops are not listed on the website but only in the email. I was curious why this kit doesn't contain the CTZ hops (Or the Warrior hops if that's in the brew as well). All in all a great kit. I wish I had a Pliny the Elder to compare with (I'm looking for one to trade now). Regardless of the hop selections, this is an awesome beer. Cheers! Living in the midwest, I've never had a Pliny the Elder, so no clue how close it compares. I got this kit based on reputation and reviews here. Some others have complained about not yielding enough wort when transferring. With this in mind, instead of my usual 6 gallons, I upped it to 6.5 gallons. Per recommendations, I added only the whole cascades hops without the malt- and added the malt closer to the 45 minute mark, instead of the full hour. Hit the original gravity dead on. I used white labs california yeast, with 1l starter. I think I should have either used a 2l starter, or maybe I didn't oxygenate it enough, either way, I had a stuck fermentation. I warmed up the fermenter, and agitated slightly for a day or 2 and it picked up some, but by end ABV ended up being a little short, about 7.3% instead of 8%. After 3 weeks, I kegged it anyway. Still turned out great. Very nice double IPA. I'd put it as good or better than any other that I've had, commercial or home-brew. Will definitely make it again, but apply my learnings- a bigger yeast starter and more aeration early. Wow. Great beer! Can't compare it to original because I never had it. But from someone who loves the style and enjoys Double Jack, Maharaja, etc. this one is a great extract kit. Great instructions and extras light clarifier. The downside is yield. I want to brew this again but by the time you throw away the dead yeasties and then the sludge at the bottom of the carboy when you dry-hop the yield is less than 4 gallons. I want to brew again but will have to try something new, at least for the dry-hopping. What a great intro to beer making! I had be ver made beer before, but a skilled friend told me that if I got ahold of a kit, he'd walk me through the process on his equipment. I've never been able to track down a bottle of Pliny in the flesh, so making my own seemed like a fun challenge. I like a nice IPA, and this one is top shelf. I only put one in the fridge at a time, otherwise I think I'd drink these up way too quickly. Try it out if you like a serious IPA with a somewhat ridiculous amount of delicious hops. I'll brew this one again for sure...it's amazing to think that we made this at home! I have brewed a lot of good brews. I have also brewed some great ones. This one has always been great. The latest one is the best so far. So good I can't believe I brewed it. I think a 10 gallon one may be in my future. After just finishing with another Pliny clone that was on sale from another company...wish I would have made the morebeer kit again instead. Although, fortunately, my relatives own Russian River BC, I am enjoying making this on my own. There is something great about drinking something you cooked up yourself! This may not be exactly the real Pliny, but is awesome none the less! I brewed this twice before I actually got my hands on a Pliny. While this kit is a great beer rating 5 stars, it is not quite the same as Pliny. 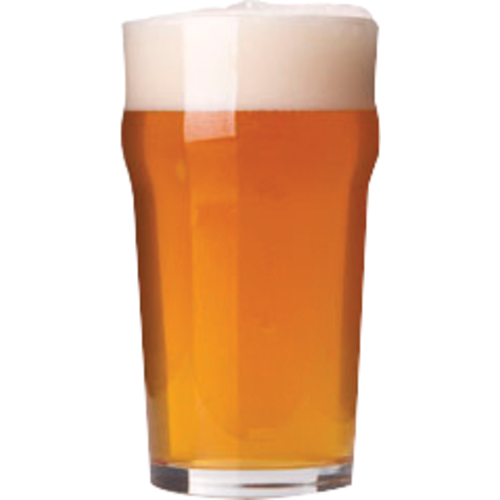 Pliny is much lighter and a little dryer with a hint of more mosaic or citra type hops. Regardless, this is something I will order again although I might tweek it a bit. The best IPA I've ever tasted, bar none. Wonderful aroma, super clarity and head, great body, even better taste. MoreBeer has secured my exclusive loyalty as long as they keep it in stock. You already know this is a great beer -- the kit delivers (even if Russian River doesn't). But wait at least 3 weeks after bottling. I just had one about 3 1/2 weeks after bottling and it was sublime (just a week ago, it was disappointing). I have only tasted one pint of the real PtE, and that was 2 years ago, so I can't say how this compares. But I CAN say, "Dang! That's the best beer I've brewed and even the best balanced, most drinkable DIPAs I've had in a long time." And with the extract kit, it's hard to go wrong. ... And I know about going wrong. I thought I'd improve on it by making the all-grain kit. But I screwed it up badly (poor efficiency mostly). Not the fault of the AG kit, mind you, but solely the brewer. So I'm buying my 2nd extract kit... I just have to have more of this great brew. Don't scoff at an extract kit. Just make yourself some great beer without the hassle of grain and enjoy it! Since I couldn't afford the dollar-an-ounce original Pliny in Oregon in a craft beer outlet, I took advantage of the Morebeer special and brewed my own at home. If this result is anything close to the original, I can now understand why it's voted the best craft beer in America seven years in a row. I'll brew a batch every year! Since I have never had Pliny,I live in Georgia an it's hard to get, I don't know how to compare it with the batch I made from this kit.I dry hop over a week, cold crashed and bottled. The problem is with all the hops involved, I jut don't get any, and I mean any hop flavor. I have done hopped ipa's with great success, but nothing here. IDK, any suggestions. It tastes like a good strong ale.I like it and all but it fa, short of my hop head expectations. Brewed this twice in the last 3 months and will again. This beer is everything I love in an IPA. I used a starter both times with this first was with white labs liquid yeast and latest was with us-05. Both fermented out well. 2-3 weeks in fermenter 2 weeks in a keg and this is beer is amazing. First 4 to 5 pints are a little cloudy then it clears wonderfully and the flavor is awesome. I am trying other ipa recipes and some are pretty good but I can see myself always coming back to this. If you want to impress your beer geek friends and not have a beer that tastes like a "home brew" put this one at the top of your list. Is this Pliny? No Is this an amazing home brew? yes! I picked this as my first brew since getting back into brewing after a 15 year break. The directions were a tad bit confusing when it says boil for 60 min. and the first hop addition is at 90 minutes. This is a 90 minute brew. I followed directions pretty well and racked into keg after 14 days in fermenter. I started drinking the beerabout 4 days in the keg.It was good but had some metallic off flavor. Well as this beer sat in my keezer for the next 5 weeks it got better and better.It really cleared up and the flavor just got better. The keg kicked a few nights ago and the beer was exceptional. Give this brew a minimum of 4 weeks before enjoying. It is worth the wait. Turned out a bit darker than the real thing, no doubt a product of the LME, but otherwise is very close. Regardless of that, it's a great DIPA. All the IPA fans who tried it, loved it, including people who have had Pliny. Guys in my local beer club, including some who are BJCP, couldn't believe something that good came as a kit. 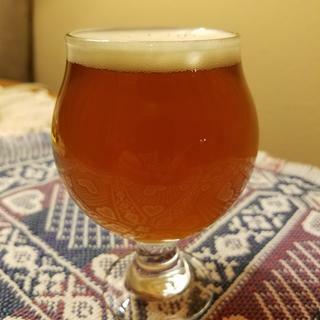 This was my first homebrew in 15 years. I picked a good one. I kegged this 14 days after brewing. The first few pints had a metallic off flavor and the beer was cloudy. After sitting in my keezer a few more weeks this beer has improved tremendously. I want to brew this again and thought about buying the ingredients from a local store. I think it will cost me more to try to piece this together than just buy another kit. Morebeer has been a great supplier and they ship to me real quick. I live in Northern CA and get my fair share of Pliny the Elder. I was very excited to test this kit and see how close I can get. I was a little nervous at first with the two sets of instructions that came with the kit. After reading some of the reviews I was able to get through it. My primary went for 12 days, secondary for 10 and then dry hopped for 5. I cold crashed for 8 hours before I bottled and it actually cleared it up pretty good. I was a little nervous to cold crash any longer than 8 hours. It took a little over 2 weeks to get good carbonation. It came out at 8.1%. I did a side by side comparison with the real Pliny. It was dead on smell-wise. Mine was more amber in color. Both pack a punch. Taste-wise, I found my Elder to be smoother going down. I found the hoppy after-taste on my Elder was amazing. So far, all great reviews from friends who have tried it. I did a blind taste test on a buddy who has never tried Pliny. I used the real Pliny and mine. He actually thought mine was better. For any of you that have not tried the real thing, it lives up to the hype. If you want to try something that is like Pliny, get this kit. You will not be disappointed. Why? It's cheaper to buy the kit than all the ingredients separately, it's the real recipe, and it's that good! Love this kit - so many hops. I've made this 3 times and each time was better than the last. I have never tried the actual Pliny before even though I was just fishing the Russian river last year :/ . Anyways this kit is really really good . It has a sweet hoppy aroma upfront with a great citrus flavor followed by a little pine. Had a good head and perfect maltiness. The only problem I had is it was taking longer than usual to carbonate in the bottle til I moved them to a warmer room where the ended up ready the very next day . I will definitely be brewing this one again and again. Love this, brewed it twice last year. It's not the original, but it's pretty close. Nice and hoppy. It's worth the money. Second time brewing this, great beer kit. Like I said earlier, it's not exactly a Pliny that you would buy from Russian river, but it's close. Tons of hops, 90 minute boil. For some reason we would always get a grassy note from the dry hops, not sure if it was our schedule or what (1st dry hop was for for 11 days and 2nd was for 5 days). Still tasted good though and the grassy notes went away with time (still gave it 5-stars). Bravo! This is a splendid brew. I was taken back with all the hops in the kit. However, after all the brew calisthenics you'll end up with keg, of crazy goodness. This was my second time purchasing this kit. Good stuff. My friends can't get enough of it. Thank you for selling this kit, otherwise this beer is almost impossible to find. This was surprisingly easy to brew. The dry hopping in secondary creates quite a mess but the results were superb. After a couple weeks bottle conditioning, it came out crisp & clear with very nice hop aroma and taste but with little bitterness. After six month in bottle, it smoothed out even further and became extraordinary. Will definitely brew again. I used WL-001 with a 1L yeast starter which helped it take off quickly. Definitely recommend a blow off tube as it spewed an immense amount of gunk. Quickly overwhelmed my bubblers which kept getting blown out of the carboy. Not sure how it stacks up against the real Russian River version as I can't find it anywhere. Just brewed this one and it still needs a little time to mature, but I can already tell it's going to be amazing. Right now it tastes like fresh squeezed hopjuice. I'm used to brewing slightly less hoppy beers and one thing I can say about this one is there are a TON of hop additions, I would highly recommend using a straining bag or hop spider to avoid having to deal with the metric tonne of hop trub when transferring into the primary. Cheers! One of the best beers I've ever brewed. This was one of the best beers I've ever brewed. Everyone liked this one except bud, miller, coors drinkers. I strongly recommend buying this kit. The price on this is very inexpensive considering how good it is. Wow, if you're a hop-head you'll love this one. Very close to the real thing. We did an extract batch but i would imagine the all-grain is even closer to it's namesake. I've made this kit 4 times, and each time I have gotten fresh ingredients, no mispackages. I like that it is the original recipe, and comes out tasty everytime. Bought planning to brew and split with a buddy who loves IPA. Finished about 1% abv higher than expected (used large started pitch of us 05). Buddybsaid it was the best beer he's ever had. Will definitely order again! I brewed this kit for the 4th of July last year and it was a big hit with everyone in my family. There were several non-beer drinkers and even they thought it was good. The instructions are a bit vague but it still turned out very good in my opinion. A few months ago I got the taste for IPAs and went on a mission to try every commercial IPA I could get my hands on, and have since tried every one available in GA. And, while on a trip to Colorado, I had the chance to spend $9 on 1 bottle of Pliny before it was quickly sold out. There are so many of them that I love... Green Flash, Brew Free or Die, Ballast Point Skulpin, etc. I really like the Pliny, but found it just a bit bitter for my taste. This new love for IPAs is what got me into home brewing and this kit was the 3rd kit I brewed. I have to say, this is every bit as good as any commercial IPA that you can buy, at any price, and in my opinion tastes better than the real thing. The taste is spot on, but because I did a full boil I decided to cut down the bittering hop addition to 2/3 of what the recipe called for. Other than that, followed the recipe to a T, and it turned out amazing. The malt/bitter balance is absolutely perfect. Primary 10 days, Secondary 2 weeks plus another week dry hopping, then 3 weeks bottle conditioning. There are so many recipes that I want to try, but man it's so tempting to order another batch of this. The only negative are the instructions...if you're relatively new to brewing, they are a bit confusing. I've been brewing for about two years. This one was the best I've ever done. I have to agree with some of the other posts that the recipe instructions could use a little updating but this is by far the best beer I've every brewed. I bought two kits and wanted to try the first one before I did the second batch. I've had nothing but compliments about this beer. Original Pliny says consume within 30 days...does it really get better waiting that long? ?